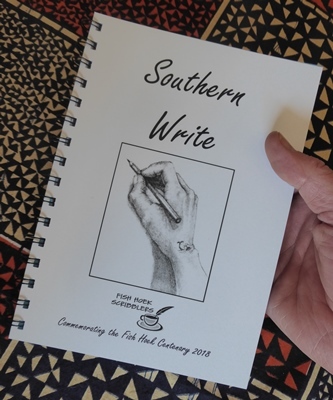 Southern Write is a book published by Fish Hoek Scribblers (a writers' group based in Fish Hoek, South Africa) in September 2018. It comprises a collection of stories and poems written by 25 members of the group. Southern Write was officially launched on 26 October 2018 at Fish Hoek Library. Well known local author Máire Fisher interviewed 10 of the writers represented in the book, each of whom read a short passage from one of their stories or poems and answered a question or two about their writing experiences.